I think these are my favourites. 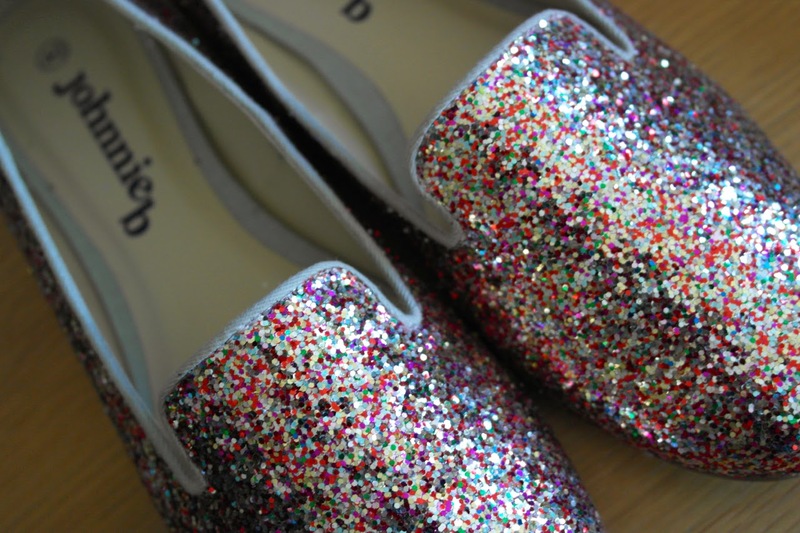 There are tons of colours going on in the sparkle and they're neither gold or silver - a fabulous glittery neutral. Size wise, these are a 40 and normally a 40 in Boden shoes would be too big for me so I'd say these come up smaller than big people's Boden (I checked with Nikki and she concurred with this view too). They are also wide fitting - happily accommodating my wide feet! I tried these on first and they were an immediate yes. These are the first pointed flat that has fitted me well, thanks to the wide fit. 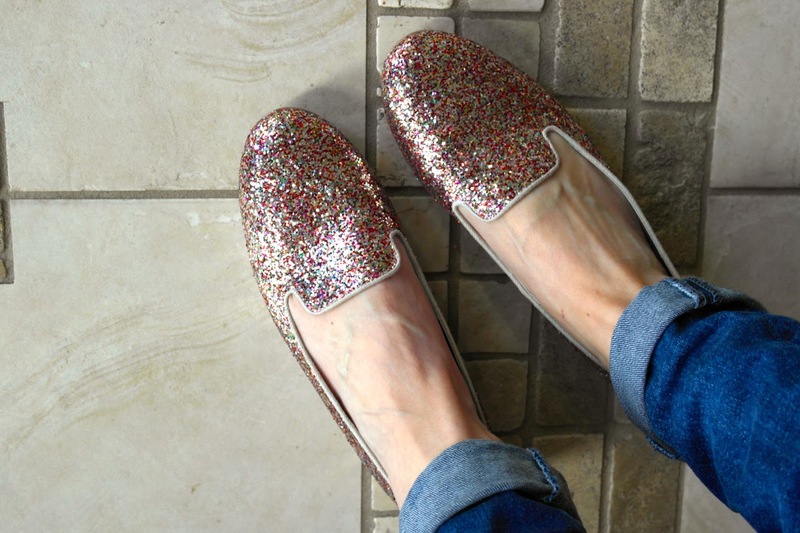 They do gape a little at the sides as you can see in the photo but I'm just so excited that they are pointed and glittery and don't hurt the front of my foot like all the other pointed shoes I've tried...they're definitely not going back! I've worn them all afternoon and the fabric trim around the heel is chafing a little but will wear in after a few days. I'll share my outfit tomorrow so you can see them better! The pink trim did it for me here - as well as the fact that I have a 'flat going out shoe' gap in my wardrobe...mainly for longer choir concerts but also as an alternative to heels on nights out. So...it seems excessive and unnecessary but I'm keeping all three. Am I mad?? 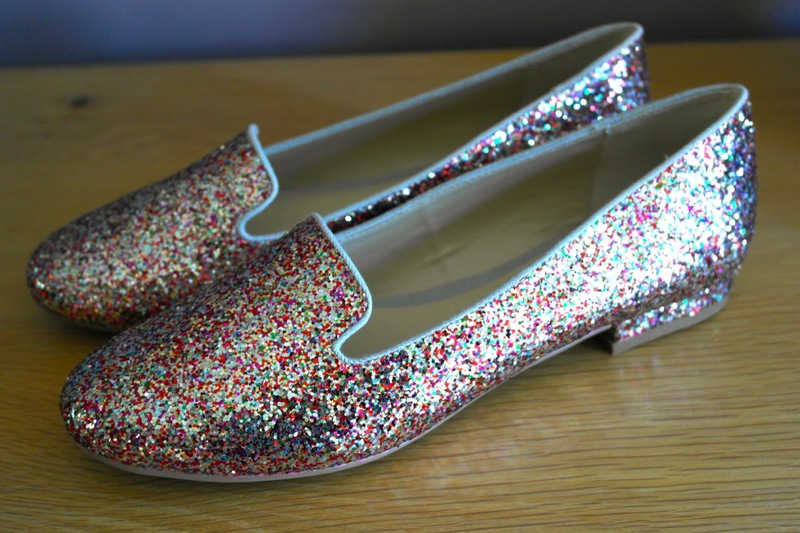 In total, they cost £51 and they are sparkly....every girl needs a few pairs of sparkly shoes, no? 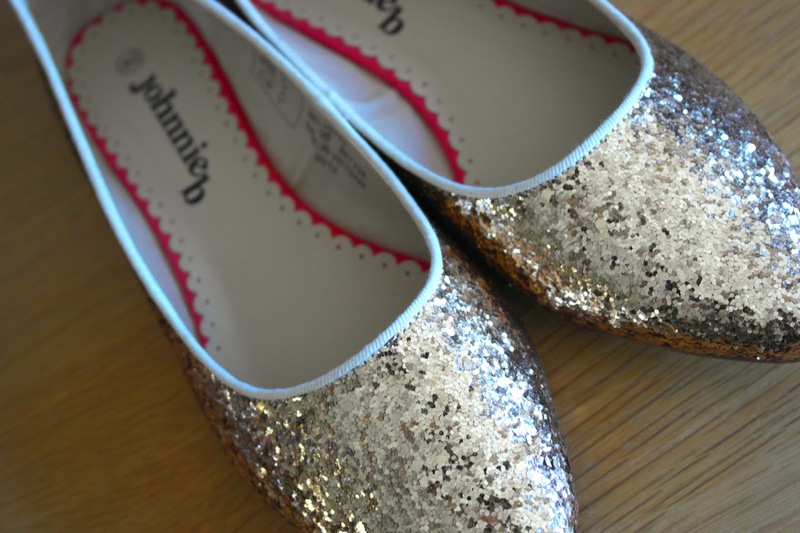 LOVE them - the same as the slipper shoe - they're a masculine style but the gold makes them much more feminine. 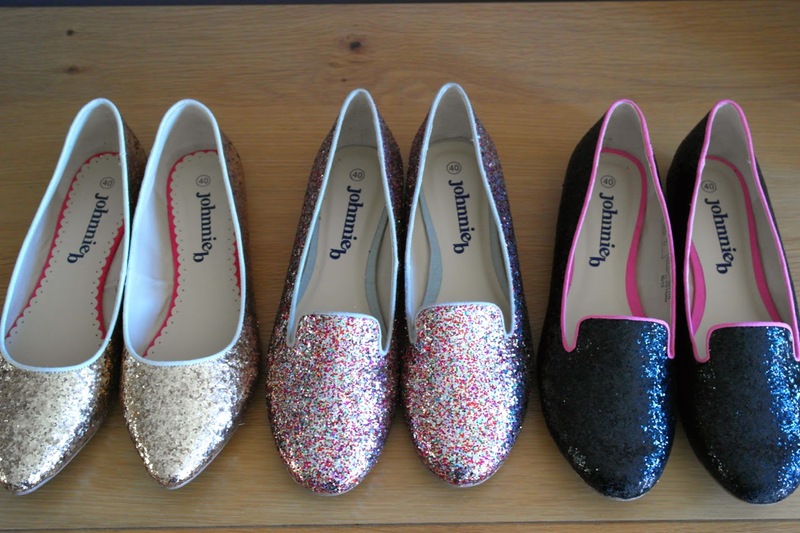 Sigh...is there room for a 4th pair of Johnnie B shoes in my wardrobe?? 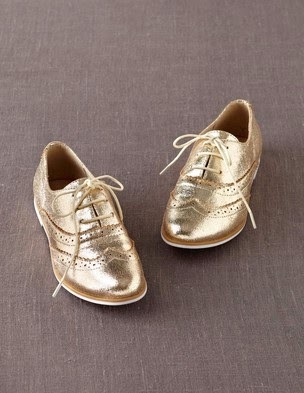 Just one thing on all of these shoes, they're not leather (apart from the navy version of the gold pointed pumps) though the brogues are lined in leather. 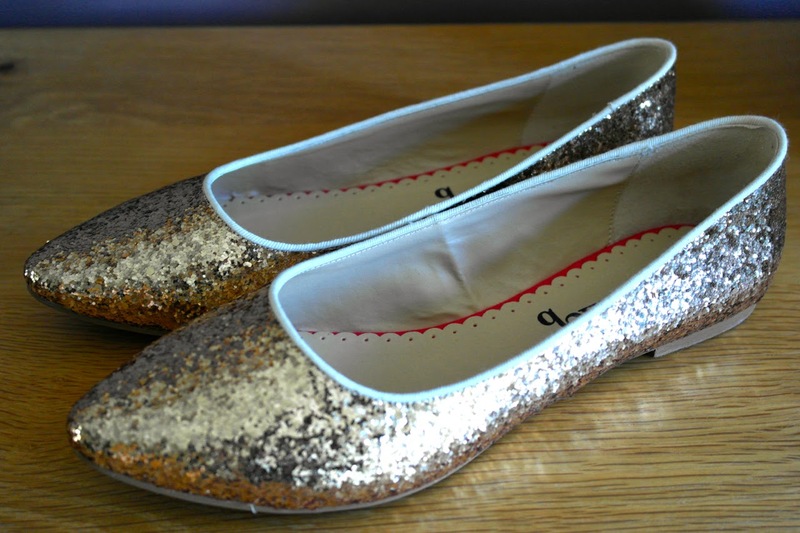 So the quality is not the same as the women's shoes on the Boden site - hence the lower prices. 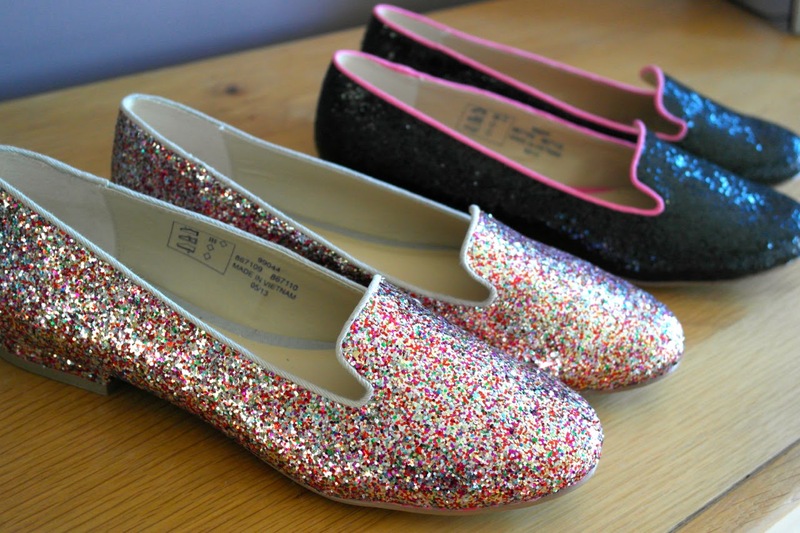 Ooh these are gorgeous Avril & I LOVE a bit of sparkle! Just stunning, beat you wear them loads. They are lovely. I'm about a 5.5, would you say I'd be ok with the 6? Oh my lord I love them! What a fabulous idea. 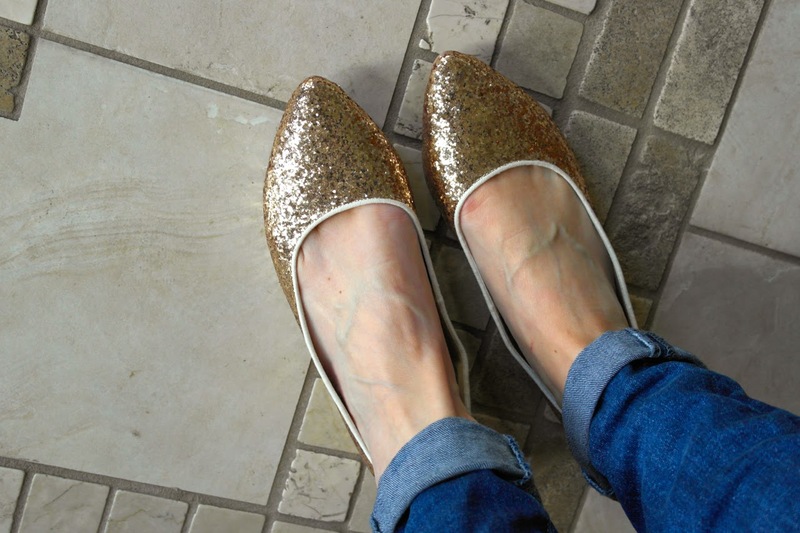 "Desperately tries to justify new shoes....trotting off to johnny b as we speak....."
Oh I'm tempted by the pointy ones just because like you, I have such a problem finding pointy shoes which fit and look nice on the foot. But jolly good score there Avril. In one fell swoop - 3 pairs of shoes! You're having more luck than me on the old shoe front!